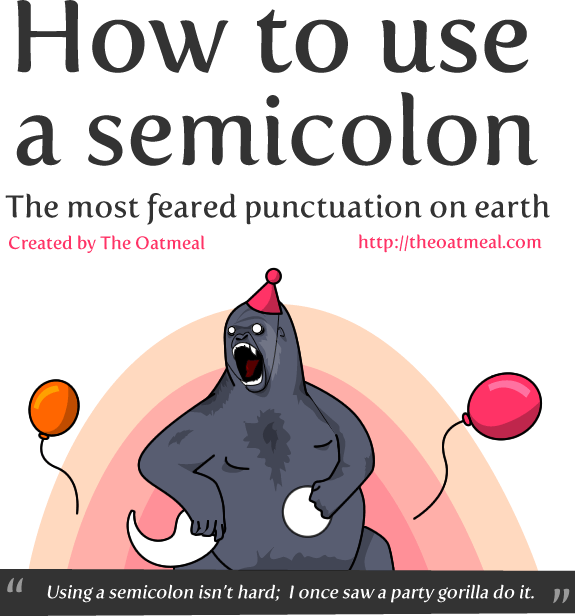 I use a lot of semicolons; it’s nice to know I do it correctly. As a lawyer, that’s important. Thanks for the review.